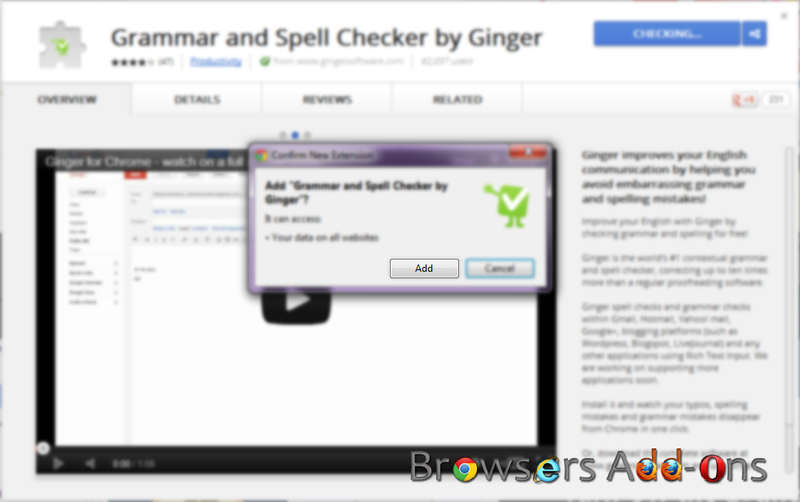 Grammar and Spell Checker by Ginger is a Google Chrome extension helps in correcting the spelling as well as grammatical mistakes crept into your browser. Ginger spell checks and grammar checks within Gmail, Hotmail, Yahoo! 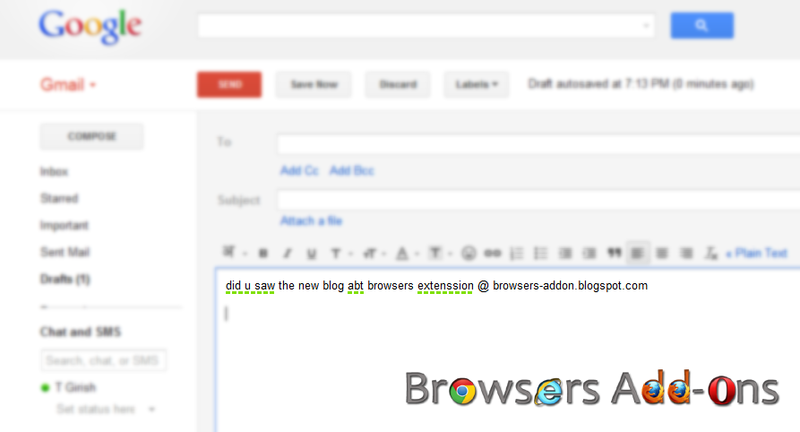 mail, Google+, blogging platforms (such as WordPress, Blogspot, LiveJournal) and any other applications using Rich Text Input. They are working on supporting more applications and we may see it soon. 1. 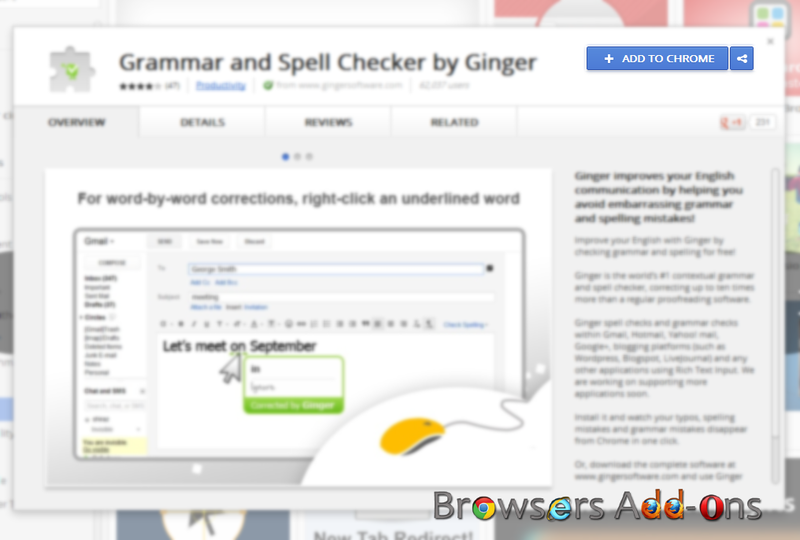 Go to Grammar and Spell Checker by Ginger web store page, or click on the above download link and click on “Add to Chrome”. 2. 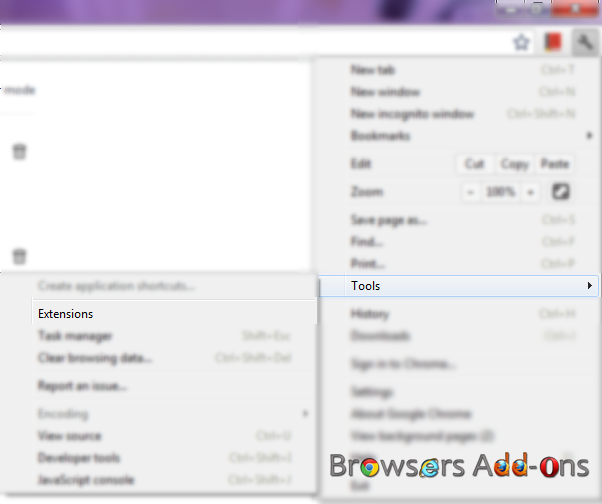 Google Chrome ask user permission for adding extension, click on “Add” to add extension to chrome, or “Cancel” to stop installing addon. Chrome also displays the info which the extension might access. 3. Now, Ginger check icon appears at upper right corner of chrome. Click on the icon to activate Ginger check tool. 1. Click on the Ginger icon to pop-up the grammar and spell checker tool. Type the sentence which you have doubt. 2. Ginger tool underline with green dotted lines when ever it see at grammatical mistakes on popular platforms like Gmail, Yahoo mail, Blogger, WordPress ……. 2. 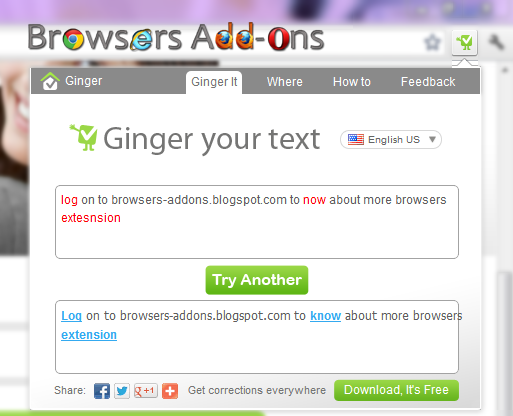 Now, un-tick the Grammar and Spell Checker by Ginger to temporarily disable the extension. Click on the dustbin icon to remove the extension from Google Chrome. Next story Get latest sports scores and updates pop-ups with ESPN Cricinfo extension for Chrome. Previous story Send your mail via gmail at schedule time and set mail reminders with Boomerang for Gmail™.